Sphinx, sorceress, sacred monster. The revival of the hypnotic Clarice Lispector has been one of the true literary events of the twenty-first century. The Chandelier conveys a special charge, an undeniable quantity of genius. A vulnerable and moving performance—with a heart-stopping payoff. The Chandelier, written when Lispector was only twenty-three, reveals a very different author from the college student whose debut novel, Near to the Wild Heart, announced the landfall of “Hurricane Clarice.” Virgínia and her cruel, beautiful brother, Daniel, grow up in a decaying country mansion. They leave for the city, but the change of locale leaves Virgínia’s internal life unperturbed. 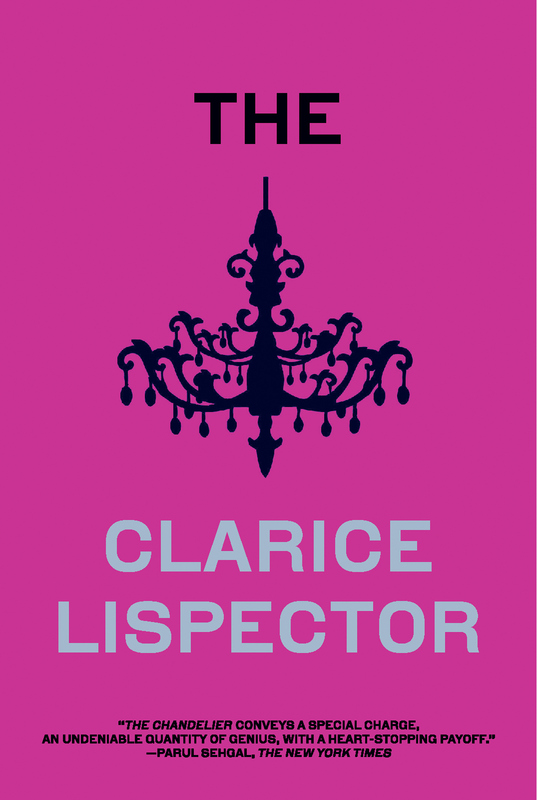 In intensely poetic language, Lispector conducts a stratigraphic excavation of Virgínia’s thoughts, revealing the drama of Clarice’s lifelong quest to discover “the nucleus made of a single instant”—and displaying a new face of this great writer, blazing with the vitality of youth. Lispector’s signature narrative style, which borders on stream-of-consciousness, is the vehicle for Virginia’s existential dilemmas and her observations about a world from which she often seems removed. The Chandelier includes all the earmarks of Lispector’s other work, too: a deep anguish, a search for the heart of human existence, and the unbearable weight of a solitude that is imperative to ultimate freedom. A breathless, dizzying and multi­sensory dive into the mind. Every page vibrates with feeling. It’s not enough to say that Lispector bends language or uses words in new ways. Plenty of modernists do that. No one else writes prose this rich. The Chandelier is not a book to be read at a fast pace, but rather one to be slowly sipped and savored, a few pages at a time—one that forces us to find other modes of reading, of approaching literature, committed to finding the pleasures of the text. The Chandelier is an extraordinary book. The Chandelier will reward those who enjoy challenging works about the power of the mind and about how we might grow up—without destroying who we have been, without fearing who we might come to be. This is a haunting family fable, and will fascinate those seeking a glimpse at Lispector’s genius in development. The Brazilian literary titan Lispector expands on themes familiar to fans of her dense, rich, inimitable style in this, her second novel, now translated into English for the first time. Lispector’s signature brilliance lies in the minutely observed gradations of her characters’ feelings and of their elusive, half-formed thoughts. One of the twentieth century’s most mysterious writers. Utterly original and brilliant, haunting and disturbing.